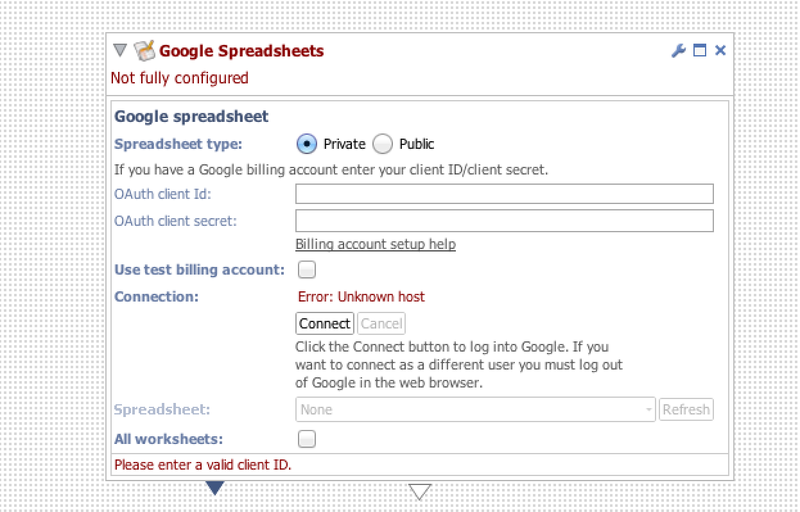 Sources: Google Drive spreadsheet connection error - version 2.9? Thanks for the question. I've just tested this out and it appears to be working. Can you test it again, do you get the same error? Can you access any other network feeds? What version of Omniscope are you using?